DAPI is a popular blue fluorescent DNA dye. The dye binds to the minor groove of dsDNA with approximately 20-fold fluorescence enhancement. DAPI (4′,6-Diamidino-2-Phenylindole, dihydrochloride) is a popular blue DNA dye that is used as a nuclear counterstain in fluorescence microscopy, chromosome staining and flow cytometry. The dye binds to the minor groove of dsDNA with approximately 20-fold fluorescence enhancement, with higher affinity for A-T rich regions. Also see DAPI dilactate (catalog no. 40009), a more water soluble form of the dye. DAPI can be used to stain live bacteria (gram-positive and gram-negative) but in live yeast the staining is weak and not nuclear. See our Cellular Stains Table for more information on how our dyes stain various organisms. Learn more about DAPI and our novel nuclear stains. We also offer antifade mounting media containing DAPI, in both hardset and wetset formulations. 1. Biotechnic Histochem 70, 220 (1995). RedDot™1 is a far-red cell membrane-permeable nuclear dye similar to Draq5™. 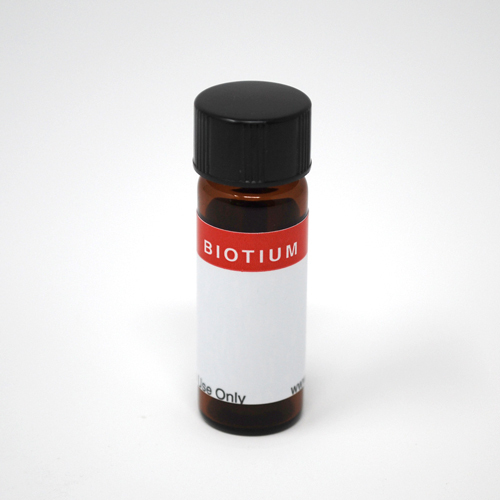 The dye is ideal for specifically staining the nuclei of live cells.